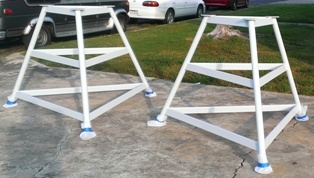 Scientific Machine & Welding, Inc.
Scientific Machine & Welding, Inc. fabricates Ground Support Equipment with best in industry service and value to our customers. 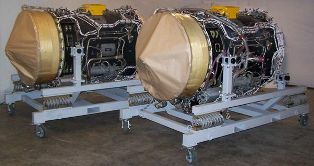 Scientific Machine & Welding, Inc. is an emerging manufacturer of military, airline and airport ground support equipment. SMW is committed to the delivery of top quality ground support equipment and services to its customers. 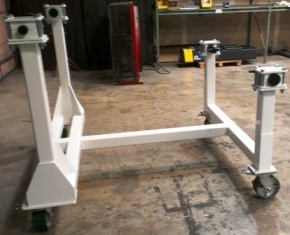 SMW manufactures a complete range of ground support equipment often based on supplying alternate solutions for hard to get, long lead ground support equipment items. SMW's disciplined systems fabrication process begins with customer requirements be they drawings, pictures or almost anything else. SMW believes that if you called Scientific Machine & Welding, Inc. your problem is well on the way to being solved. 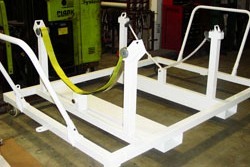 You get the ground support equipment solution you want regardless of what we started with. At SMW we cut to the chase and get you a solution that is practical yet appropriately conservative to manage everyone's risk. You will be glad you worked with SMW. © 2014 Scientific Machine & Welding. All rights reserved.